Why and how did evidence-based medicine arise, and why should you accept it? Students will engage with researchers who have played key roles in defining the History, Philosophy and actual practice of Evidence-Based Healthcare. Many famous medical doctors, including Galen, Descartes and Locke, were also philosophers, and recent evidence suggests that studying humanities improves clinical skills. Medical professionals will learn to think critically about the assumptions of their profession while philosophers and historians will learn about the empirical foundations of the science they contemplate. Every 'edition' of the course is different because we explore cutting edge debates within the course. Discussions of nocebo (negative placebo) effects are a new addition to the course, as well as whether Evidence-Based Health Care is powerful enough to overcome financial and academic conflicts of interest. Students are encouraged to discuss and engage actively with all the tutors, during all sessions. Sir Iain Chalmers (British health services researcher, one of the founders of the Cochrane Collaboration, and coordinator of the James Lind Initiative, which includes the James Lind Library). The last date for receipt of complete applications is 5pm Friday 31st May 2019. Regrettably, late applications cannot be accepted. Why study the history and philosophy of Evidence-Based Health Care (EBHC)? Improve your clinical skills. Medical students who study the humanities perform better than those who focus exclusively on the sciences (Lancet 1996 (347:55-6), J Med Humanities 2004(30:53)). Deepen your ability to gain philisophical insight. Philosophy of science without history of science is empty; history of science without philosophy of science is blind. Gain accounts of how Evidence-Based Health Care arose from some of the key figures involved in its conception. These include Professor Mike Clarke, and Sir Iain Chalmers. Learn to think more critically. Critical thinking is a pillar of analytic philosophy. You will be encouraged to question EBHC rather than accept it because it has become widely accepted. Our speakers have included influential critics of EBHC such as Ross Upshur, Professor Nancy Cartwright, Dr Amanda Burls and Professor Rom Harre. Why choose this course if you are neither a health care practitioner nor a philosopher or historian? The lay press bombards us with claims that diets will cure disease, that new medical technology promises to prolong life, and that environmental factors will lead to premature death. It is important for all of us to be able to critically evaluate these claims. Because of the interdisciplinary nature of the course, technical jargon particular to each discipline will be either entirely avoided or explained. The course is accessible to anyone interested in understanding the nature, history, and justification for the kinds of health claims they face on a daily basis. Become a better writer. History and Philosophy of Science involves writing critical essays. The course involves workshops on essay writing and an online peer review process to help you develop your ideas. Many students have published their essays in peer reviewed journals. There are will also be plenary sessions led by leading experts within the field of EBHC. "The course will help me to structure my thinking about the advantages and limitations of EBM and to answer the questions I have about the interaction between EBM and the structure of current western healthcare systems." "Gave me a completely different perspective on EBM. Eg. Being more specific about asking questions, being careful about language and terminology, being aware that non-medical folks look at the issues differently than medical ones, examining how philosophy might fit into my particular work." "The content of the program (a very specific program regarding the background of EBM and its interaction with current healthcare systems), just where I was looking for! The luxury of a group of excellent lecturers. It was really nice to be exposed to such an enormous degree of expertise and inspiring idea's about EBM and healthcare! And that during a whole weekThe diversity of participants (countries, backgrounds, idea's)." What is the philosophy of EBHC? Should EBHC include a more prominent role for evidence of mechanisms? How do (or should do) values play a role in EBHC? The following is also recommended as part of this module. Wootton, D. (2006) Bad Medicine. Oxford, Oxford University Press. Fulford, KWM, Peile E., and Carrol, H. (2012) Essential Values-Based Medicine: linking science with people. Cambridge, CUP. Dr Jeremy Howick is a Senior Researcher, Nuffield Department of Primary Care Health Sciences and the NSPCR Non-Clinical Research Fellow. 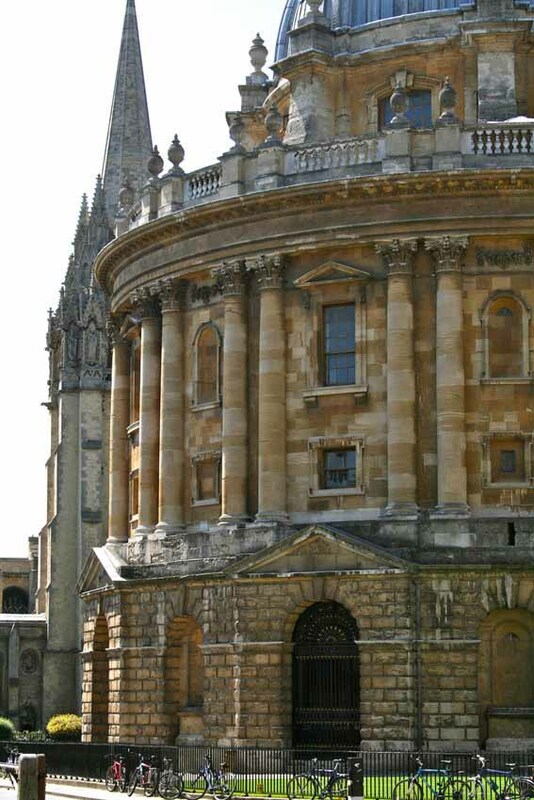 The course will combine face-to-face teaching in Oxford and online distance learning. During the teaching week we will use a combination of short lectures, interactive seminars, group work and in-class activities. There will also be preparatory reading and online interaction before and after the course, with follow-up on extended essay preparation. be able to think more critically (decide what counts as an acceptable argument). successfully write an extended critical essay. be able to explain key ideas in philosophy, ‘epistemology’, ‘ontology’, ‘value theory’ the ‘rationalist/empiricist debate’, and ‘paradigm’. be able to defend and critique the EBM ‘hierarchy of evidence’ using philosophical principles’. be able to compare different historical approaches to the origins of EBHC (allocation, blinding, ‘placebo’ controls). be able to explain the role of values in EBHC. Do evidence hierarchies have any useful purpose? Why is ‘pathophysiologic rationale’ not ranked highly in EBHC hierarchies? If ‘pathophysiologic rationale’ is undervalued as evidence for efficacy, can it play a role in generalizing the results of controlled studies, if so how? What is the role of clinical expertise in EBHC? What is the role of values in EBHC? If randomised trials provide ‘best’ evidence, why don’t we need them to show that stopping massive bleeding saves lives? Is CONSORT’s new policy on the importance of reporting the success of double blinding justified? Is it ethical to conduct systematic reviews of unethical studies? What are the historical roots of various aspects of EBHC methods? When did medical textbooks first start paying attention to ‘evidence’? How relevant is the year 1992 in the history of EBHC? The main prerequisite for the course is enthusiasm for the subject. The course is designed to introduce students to the history and philosophy of EBHC and no background or education in history or philosophy will be required. Students will also generally be expected to have an undergraduate degree. This course can be taken with academic credit (assignment of up to 4,000 words) or without academic credit, please indicate on your form which option you are applying for.